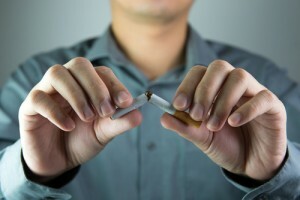 Mobile sensing technologies will be used by Rice University’s Department of Psychology to prevent people who are trying to quit smoking from having a relapse. With help from a $10.8 million grant from the new Center of Excellence for Mobile Sensor Data to Knowledge (MD2K), a member of The National Institutes of Health (NIH) and part of the NIH Big Data to Knowledge (BD2K) initiative, the new program will focus on preventing relapse in abstinent smokers and reduce hospital readmission in congestive heart failure patients — two high mortality risk health conditions. The main goal is to speed up the progress regarding what is known as P5 medicine — predictive, preventive, personalized, participatory and precision medicine — by making available big-data analytics software to extract information from mobile sensor data and translate it into actionable knowledge to improve health strategies. Along with Kumar, David Wetter, chair of Rice’s Department of Psychology and Cho Lam, a senior faculty fellow in psychology, will collaborate with the MD2K team. “The goals of our studies are to apply mobile sensing technologies to detect – automatically and unobtrusively – both smoking lapses and their behavioral, social, physiological and environmental triggers,” said Lam. The MD2K team also includes leading scientists from Georgia Tech, Cornell Tech, Northwestern, UCLA, Ohio State, UC San Diego, the University of Massachusetts Amherst, UC San Francisco, the University of Michigan and nonprofit organization Open mHealth. The study will examine the usage of just-in-time adaptive interventions to preventively stop abstinent smokers from relapsing. Wetter and Lam will work with MD2K’s Data Science Research Team to develop wearable sensors to identify markers of smoking lapses, evaluate the accuracy of these markers, and to develop models for detecting and predicting imminent smoking lapses. Wetter noted his enthusiasm: “Our role is to help utilize the data from these bleeding edge human sensing technologies to predict risk for smoking relapse and translate these prediction algorithms into specific intervention strategies.” Through the big data generated thanks to mobile sensing, understanding the addiction processes and mechanisms, creating innovative real time and adaptive interventions will support treatment outcome improvement. This approach is expected to be applicable to other complex diseases such as asthma, obesity, and substance abuse. MD2K tools and software, materials, workshops and seminars will be promoted and made available by the center to encourage both researchers and clinicians to use this approach.